There comes a time when you get tired of plinking in your backyard and you want something more challenging. 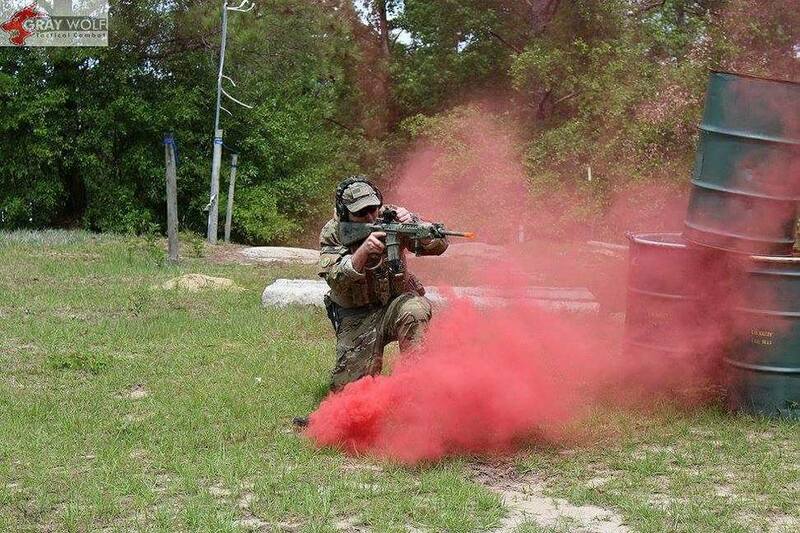 If you’ve reached this stage, you should know that there are lots of cool airsoft fields all across the United States, but some truly deserve your attention. Below I put together a guide for both beginners and pros, with the best places to play airsoft in the country. Take a look and have your pick! If you’re looking for the nearest airsoft field to you, then skip down to our full list at the bottom of this article. According to their site, this is New York’s largest indoor Airsoft field (and they may not be wrong). The field consists of a 20,000 square foot arena with a pure industrial setting. The obstacles and lanes are challenging and the general atmosphere is a bit futuristic, but there’s enough cover to move around without trying to constantly find a shot. I love the flow of the game in this field and the fact that they organize Special Ops events every month. You’ll have to pay a small fee to get in, but it’s a lot of fun and you get to meet a lot of new people. The field is great for both pros and beginners as they offer assistance in choosing the gear and supplies. They have their own shop, but you can always choose to rent. The place is clean, the owners are friendly, the staff is well-trained and do their job, and the prices are great – what more could you want from an airsoft field? 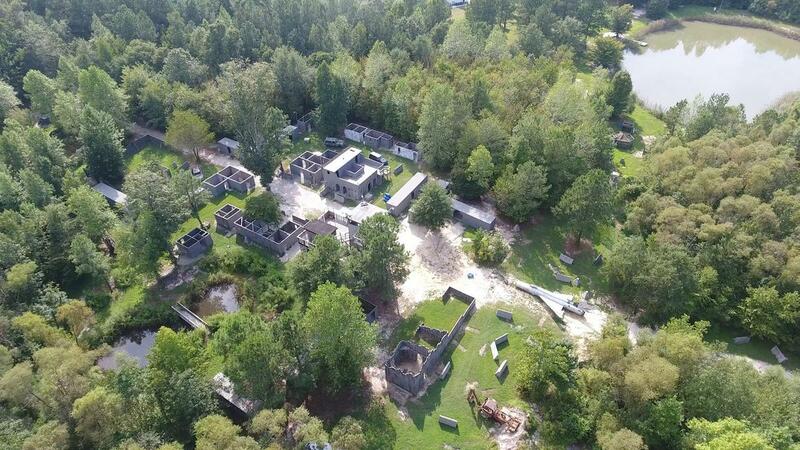 Overall, this is a great airsoft field for anyone who wants to try their luck with an indoor location. It’s great for winter airsoft games, but it can also be challenging in the summer. 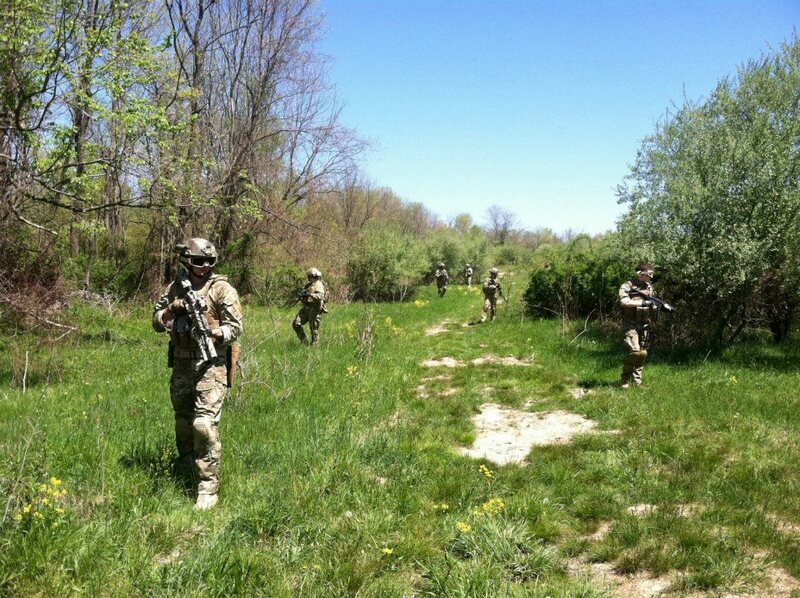 If you want some outdoors time, Ballahack is the perfect airsoft field for you! It’s in the middle of nowhere, surrounded by forests and the action happens in an area with abandoned buildings and some swamps. So the terrain is challenging enough to satisfy even the pickiest of players! They are backed up by a huge online community of players and they organize some pretty cool events such as the Ballahack World Conflict (organized every month). The idea is that you’ll get in contact with a large community so you’ll have the amazing opportunity of making new friends and learning from the best. Their prices are quite acceptable ($25 for an all-day admission) and they offer both rental equipment and have their own pro-shop. Of course you’re welcome to bring your own weapons too. According to reviews, the staff is highly professional and very friendly; always trying to help and improve the airsoft experience. Overall, the field is well-organized, the scenarios are challenging, and the safety standards are up to speed with current regulations. The airsoft field is outdoors and the terrain is challenging enough for an exciting MilSim experience. 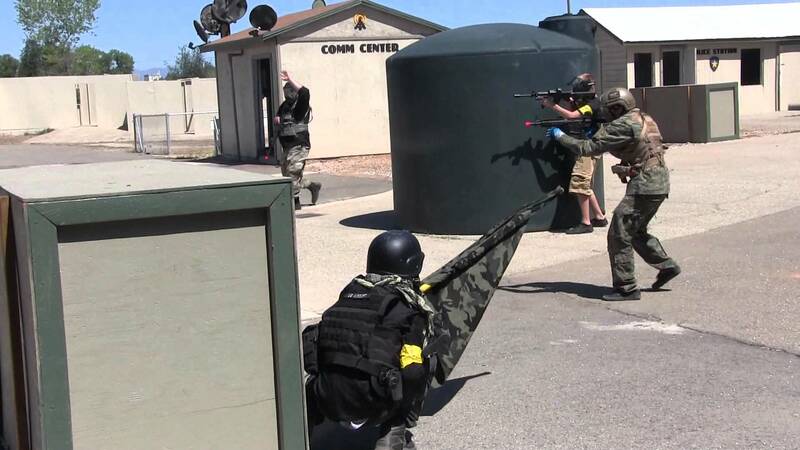 The cool thing is that they also offer training sessions, so you can go with your airsoft team and use the terrain for training. 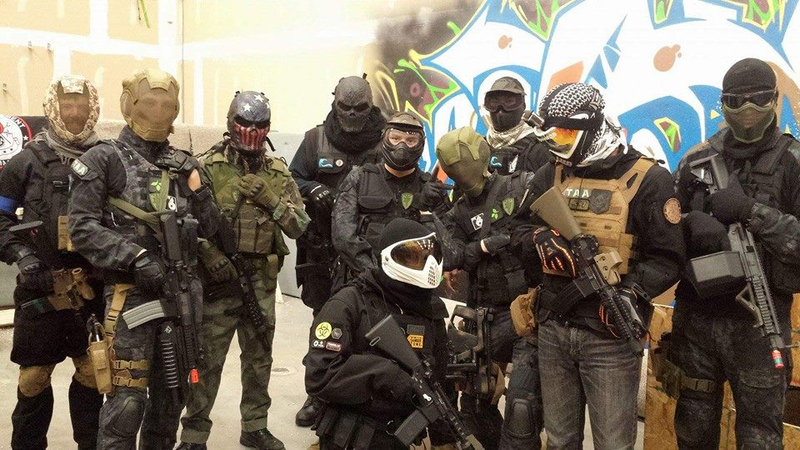 According to their Facebook page, they organize plenty of cool events (both during the day and at night) and they are supported by a large community of airsoft enthusiasts. The staff is well-trained and friendly and you can buy your gear from their local store. 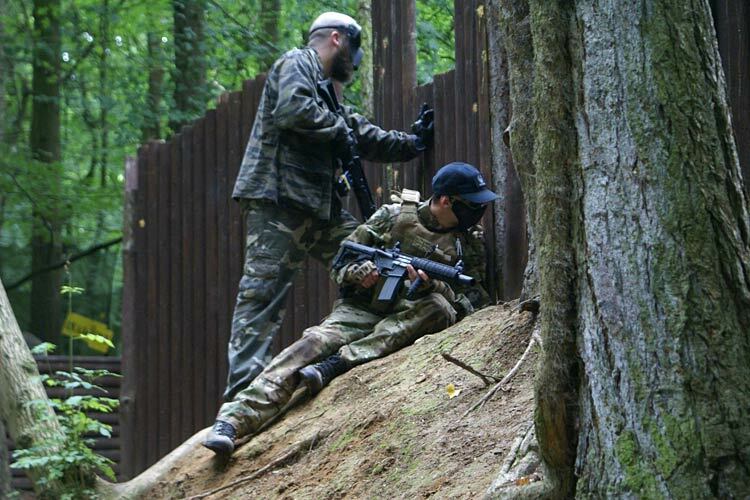 With over 10 acres of airsoft field, the US Airsoft World is one of the hottest locations for a fantastically well-organized game. They have over 15 game types and their staff is prepared to help in any situation that may arise. They have their own store where you can gear up, but they also rent equipment so if you just drop by, you can still participate in a fun adventure. US Airsoft World is a family-friendly facility and many kids have their birthday parties there (with a game of airsoft, of course). These guys are very interested in offering their customers a fantastic airsoft experience! First, they have their own well-stocked store and offer lessons for beginners, which is amazing. And then, they have several locations for airsoft games. 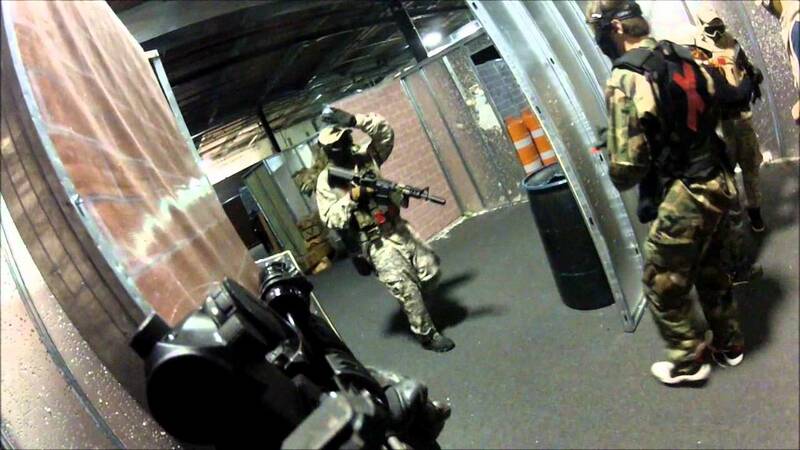 There is an indoor CQB arena, which is 18,000 sq. ft., designed for tactical training and CQB. The set is an urban environment with different structures and buildings. There are rooms, hallways, and even props that can be used for cover. The scenarios are usually short and fun and the staff is always helpful. But there’s also an outdoor field that covers about 70 acres and offers six bases with flag stations, which is more suitable for snipers. The terrain is challenging enough for all ages and levels of experience, and the scenarios are very interesting. 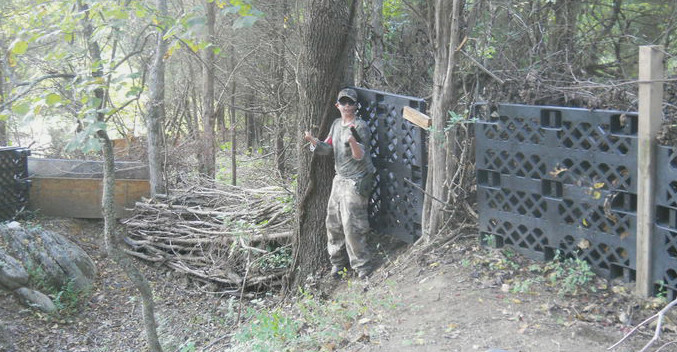 Available for children, teens, and adults, this outdoor airsoft field comes with a series of cool challenges and scenarios. They offer a wide selection of airsoft guns and organize special events and even birthdays. The staff is well-trained and friendly, and the environment is safe for both juniors and adults. The terrain offers woods, slopped hills and mounds, and even buildings (great for CQB) so your game will be fun and entertaining. The field measures about 22 acres and there is enough rubble and debris for everyone! This is an indoor facility specially equipped for airsoft games, training, and military simulation. The arena measures roughly 65,000 sq. ft. and you have access to a wide selection of guns and accessories. The place is family-friendly and anyone can have a bit of fun, even if they’re an absolute beginner. The staff is friendly and knowledgeable and they have a pro shop where you can buy high-quality gear (following the guidance of professionals). The arena also offers rental equipment and there are refreshments available on-site. The cool thing about this arena is that you can play in a team even if you go by yourself. The staff and the players that come often are quite friendly and you’ll meet a lot of new and pleasant people. The price of admission is a bit high, but considering the perks you get, I consider to be worth it. The Tactical Airsoft Arena is a 3,600+ sq. 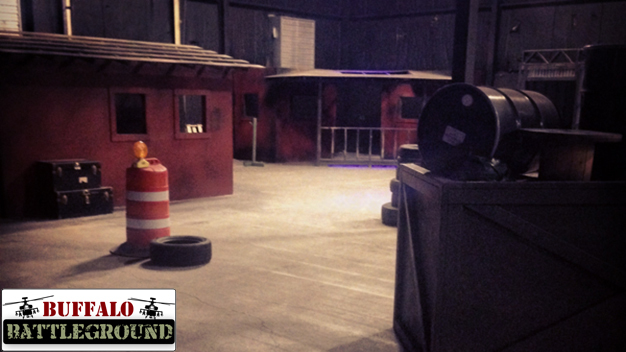 ft. indoor airsoft arena with scenarios and terrain for CQB situations. The facility is clean, there’s food and beverages, and you can rent any piece of equipment you need. Even more, the prices are affordable and they organize private parties from birthdays to team building sessions. The staff is friendly and well-trained and the arena is well-organized for a challenging game. The arena is equipped with modular 8-foot wall designs so the staff can change the environment from one session to another. This way, you don’t get bored and the game stays challenging. Overall, the arena offers several hallways, nine rooms, and multiple starting points. With a surface of 120,000 sq. ft., this is the world’s largest indoor airsoft arena. 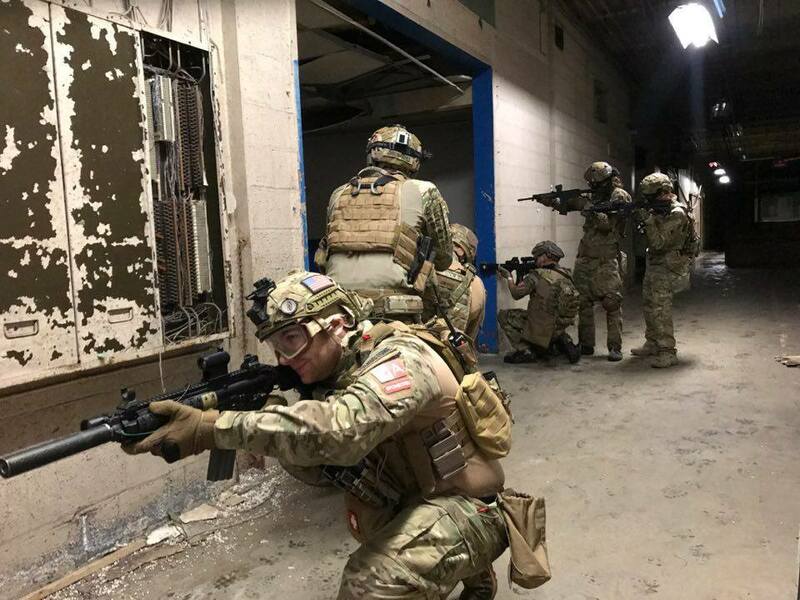 The cool thing is that the arena is not just for regular airsoft players; companies use it for team building exercises and law enforcement agencies use it for training from time to time. Actually, the facility was specially designed to provide Government agencies with the right type of environment for training. They did that with assistance from the LE and military personnel. The enormous amount of space allows for both long-range and CQB engagements, and there are plenty of buildings and props you can use for cover. And when I say props, I mean vehicles, kill houses, and just about anything you may want in a game. The staff is very well-prepared and they offer rental equipment and training lessons for new-comers. Of course, they organize special events, but you have to follow their calendar if you want to participate. They offer several entertaining activities, but one of the most interesting is a 22,000 sq. ft. indoor airsoft arena with all the necessary equipment for lots of fun. The area is sprinkled with obstacles and challenges in order to offer a realistic gameplay and they cater to both individual players and groups. Overall, they are always friendly and offer the possibility to unwind with a great game! Please let us know if we’re missing anything or if any information isn’t up to date and we’ll strive to edit as quickly as possible.